Who has the very best Sound System? This is a question to ask when looking for the top of the line sound system. In order to properly answer this question is to break down the top five and formulate a good comparison between these devices. I think the best depends on the top five sound bar systems based on performance, quality value, and style. The most important thing I look at the most is CUSTOMER SATISFACTION. There is no other critic and good review out there other than the paying customer. 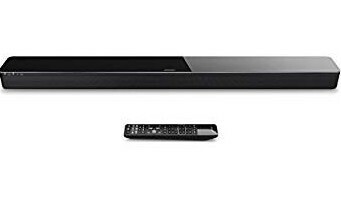 Sonos PlayBar TV Wireless Sound Bar: This Sound Bar has been the top Sound Bar for years and continues to get good reviews from Amazon as the editors choice overall. 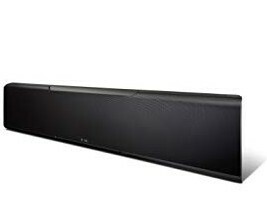 You can notice from the specifics and features, this is one of the best sound bars on the market. Best Features: 9 speaker system built into sound bar/ Connects to Echo, Alexa, devices. Pro’s: Has the ability to enhance An Sonos surround sound system with real crisp clarity/ Stream over 30 apps though An device/True Play feature measures an room for the right type of music and sound choice to get the best out of An movie or music. Sonos has the latest and greatest features but it will take a bit more to bag this device. I would recommend buying this sound for sure if An comfortable with the price. Trust me you should have total confidence in An the return on investment. It’s worth it’s weight in gold. Plus if you have any problems There is 60 day tech support for help with installation and other services. Vizio Sound 5.1 Home Theater Sond Bar System: looking for more bass and great surround sound features? This is the one for you. What I love about Vizio is the prices are affordable for the technology it produces. I can surely say that it’s good to find a sound with features like this and carry a cheaper price tag. Best features: 5.1 System that has a wireless sub-woofer and two surround sound speakers/Stream Music though Chrome cast or Bluetooth/ 101 decibels to feature great clarity and captures every faint sound to room shaking bass power. Pro’s: Good price and sleek fit to design, able to turn An home entertainment center into a real live movie theater which delivers clear sound and brings you into the world of cinema with new advanced technology called Smart Cast. *With DTS Virtual sound You can hear the surrounding sound from every angle of the room. Con’s: Does not have a dialog enhancing feature. 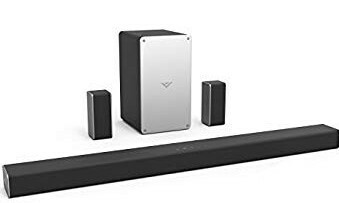 You would have a bit of trouble pairing multiple devices on this sound bar using the Bluetooth, I would suggest pairing only what you plan on using for the device. You may have trouble with sound control due syncing with external speakers. You are in good company when it comes to style and fit with An living room or basement. People talk about how does this Vizio work for them, well I have found it’s open to many uses that can really accommodate home entertainment interactions. Polk Audio Mini Magifi Home theater sound bar system Has the beast of features for what is worth. You’ll love to know more about this sound and would properly consider purchasing this wonderful item after checking out the best features it has to offer. Polk has been in business delivering great audio sound for over 40 years. Best features: Crystal clear Dialogue with Polk Adjust Feature/ Wireless music streaming/ Totally compatible to TV’s, Cable, video gaming and Satellite devices. Pro’s: Can produce Great surround sound from the size of a Football. It has a six Array speaker system built in to create that room filling sound that takes into the action/ 5.1 Dolby digital technology gives you that deep bass sound to complete the overall sound quality. Con’s: You cannot connect additional speakers to the unit but with the amount of sound and power why would you?/ Has trouble connecting from the sub-woofer to speakers sometimes. This company still continues to impress the world with great quality sound and fun entertainment. You will be blown away experiencing this new-found surround sound system. Don’t think just because its small means the qualities will be too. BIG things really come in small packages as well. 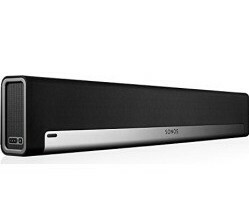 Yamaha Music Cast Sound Bar World first 7.1.2 channel Multidimensional sound, It’s LOADED with directional speaker drivers. How many speakers are there? built into the device is about 46, but the exclusive stuff is all about the projection technology of sound which every single driver for the speakers points in different directions. Best Features: 44 beam sound drivers with two sub-woofer speakers for FULL entertainment value! 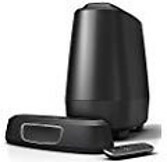 Pro’s: Has the best in sound quality with Dolby digital sound and has the exclusive Multidimensional sound ever to blow An socks off with entertainment, Has height speakers included to keep An home theater sound with a real surround sound effect. Con’s: The only flaw to this system is the price, which in my opinion is worth it, may take up a bit more space but if An only for new technology and great value? An looking at it right now. DTS-X the next generation of sound allows you to create multiple room stream cast to other speakers, devices and even other sound bars. With the new feature called music cast, An able to stream the same music or different varieties on An WI-FI network. Gives you the power to control the home entertainment, with the power of Alexa or Amazon Echo, you have the feature to use around the house. Bose uses a module called Adapt IQ to create an INSTANT movie theater environment for An binge watching needs. So instead of adjusting and adapting to get the right sound angle Bose sets it all up by plugging in and play. Con’s: Alexa doesn’t come with it, you have to set up the service. No (AAA) batteries included. Does not come with a sub-woofer. The connectivity is not as great especially 4K TVs. The inner speakers inside the sound cannot be controlled. Voice control is the one main setting that seems to be the main feature of this sleek yet powerful device. You can have it An way by positioning and placement due to the auto adjust sound feature which will make it sound like there is additional speakers connected. What are the Specifics You Sould Look For in A Sound Bar? It’s not that complicated to find out certain things on sound bars. But to answer the question, it’s totally depends on An style of choice and what specific need is the priority. People look for all types of bells and whistles in these devices but over look the main thing they need most when purchasing. Take the time to understand An budget and know what is the main thing you want out these wonderful surround sounds. My top choice out the top 5 set is the Polk Audio sound bar with the best features. I love the longevity in a company that stands and falls on its word to impress the customer. I hope this helps on your journey to find out who has the best sound bar. 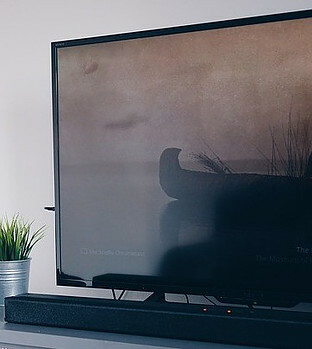 If you have a favorite sound bar experience to share please comment below about it or these top five devices, it could be bad or good, An commentary is important to us.